After 14 Mietta Song Competitions since the MSC was founded in 1995 the Committee has reluctantly decided to discontinue the competition. The Mietta Song Competition was established in 1995 by Mietta O’Donnell, Tony Knox, Len Vorster, Michael Easton and Lauris Elms to promote the performance and wider appreciation of art song. Many of the MSC winners and finalists – such as singers Siobhan Stagg, Greta Bradman, Alexandra Sherman and John Heuzenroeder, and pianists such as Amir Farid – have gone on to successful careers in Australia and overseas. This was all achieved with the energy and goodwill of an entirely voluntary team and with the generous support of sponsors and donors. Perhaps more importantly these achievements and support have also contributed to the flourishing of lieder and art song in Australia with more competitions, festivals and recitals creating an art song ecosystem which did not exist in 1995. However, in recent years the Competition has struggled to find suitable venues at affordable hiring costs. As a wholly volunteer organisation we also believed a partnership was needed to secure a sustainable future. To remedy those problems we postponed the 2018 Competition and explored whether we could form a partnership with another organisation which would provide a more secure future and a permanent venue. Last year we had discussions with potential partners and, while the opportunities seemed to be ideal, it proved impossible to reach a practical and satisfactory outcome. After reviewing the situation, and recognising the much wider performance and appreciation of art song that has flourished since 1995, the Mietta Song Committee has reluctantly decided to discontinue the competition while finalising some associated projects which have grown out of the Competition and been supported by generous donors. This has been a difficult decision which is much regretted but also recognised as realistic.  We have been grateful for the support of sponsors, donors, singers, pianists, Master Class presenters, judges, volunteers, partners such as 3MBS and Classic FM and – of course – our audiences. The Mietta Foundation will continue its role perpetuating the work and memory of Mietta O’Donnell and enhancing the spirit and energy of cultural life in this country.